Running a little late today, but better late than never! I have 2 swatches of some fun, glittery polishes from NYC New York Color! Just in time to brighten up your holiday mail look, these are available at your local drugstore, and they're almost always just 99 cents!! 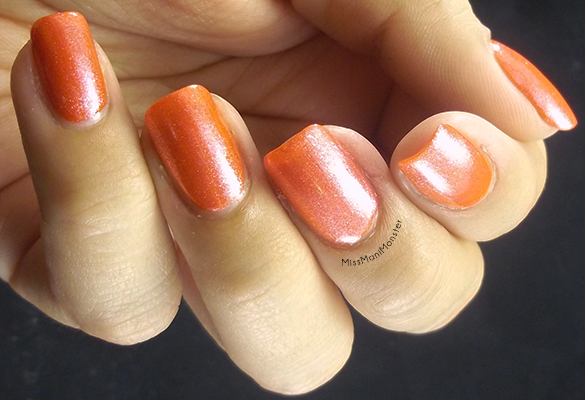 First is Classic Coral Creme, a bright coral-pink jelly packed with glitter! I layered 2 coats of this over Sally Hansen's Play Koi. The other glitter is called White Lights, a shimmery opalescent glitter topper perfect for any polish! 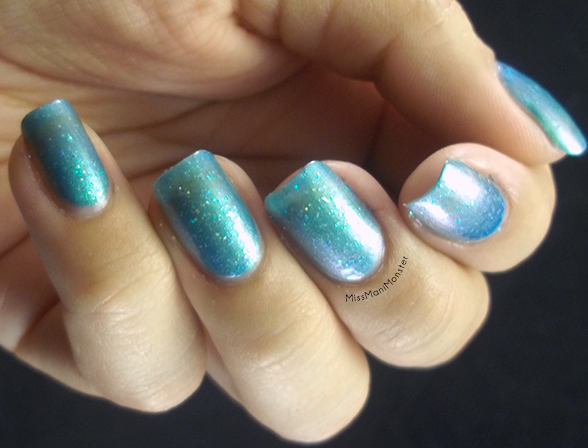 I layered 2 coats over Sally Hansen's Make Waves. Like I said, these and many other NYC New York Color polishes are available at your local drugstore!